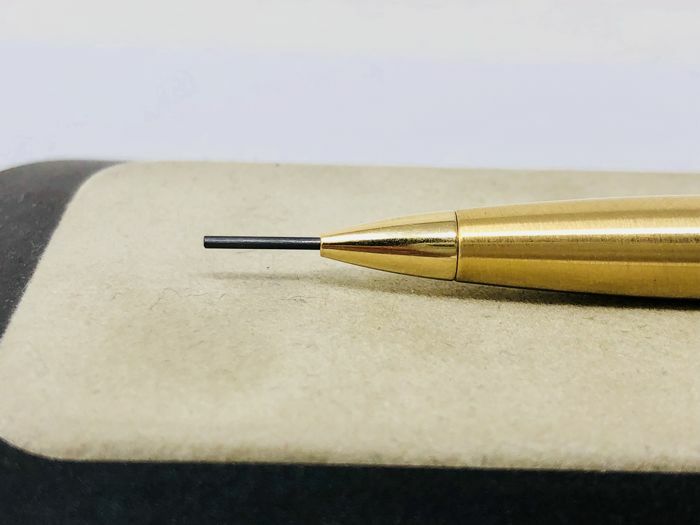 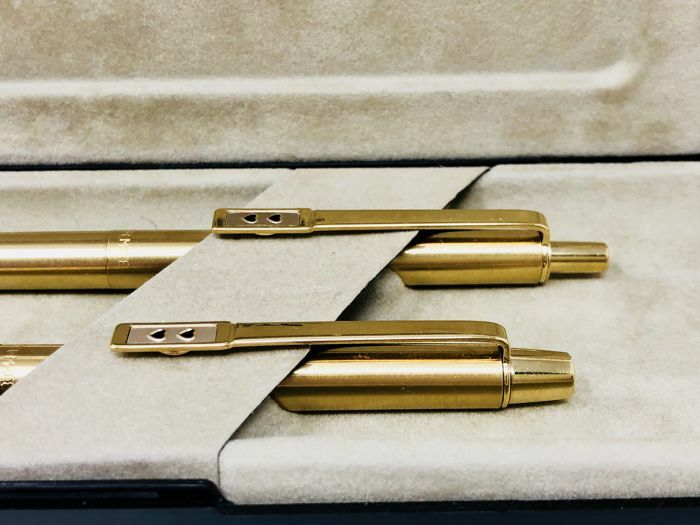 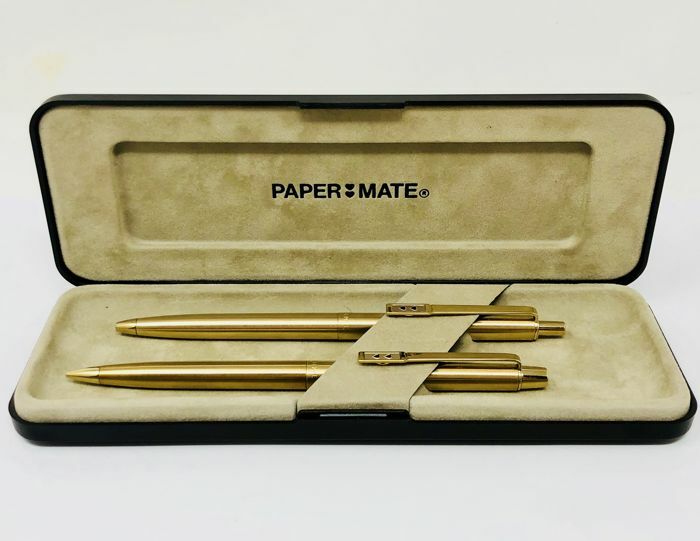 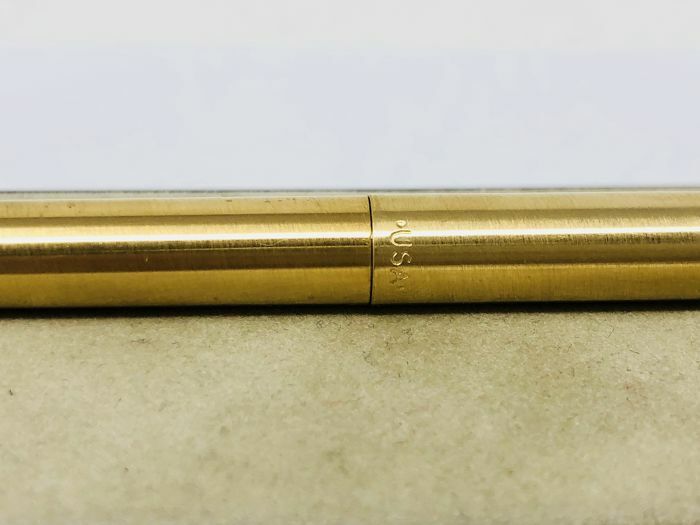 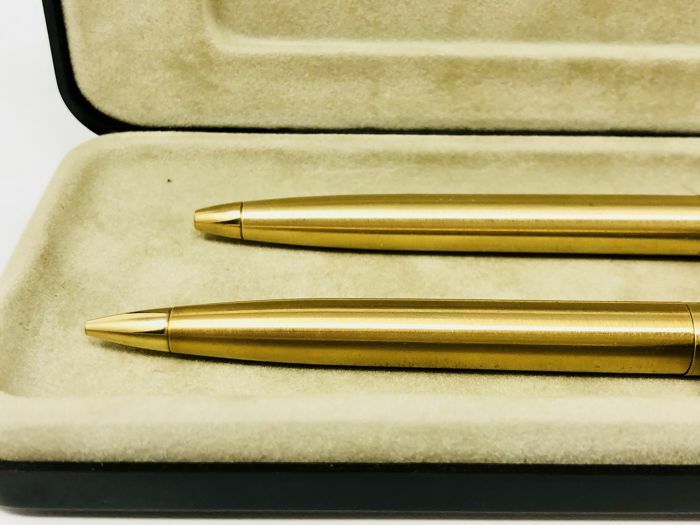 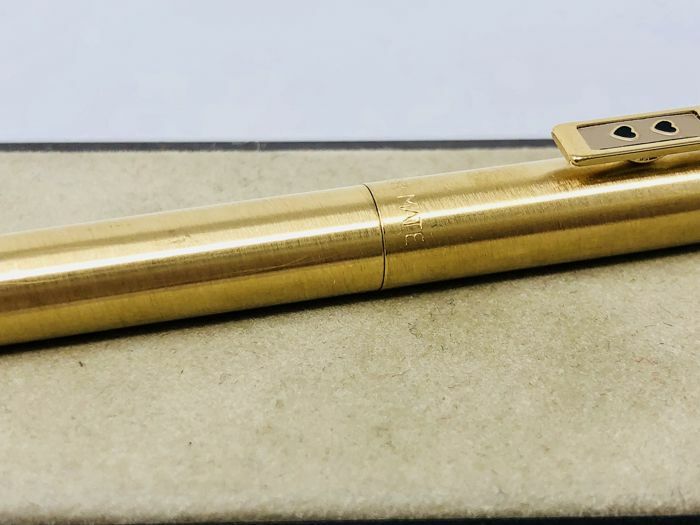 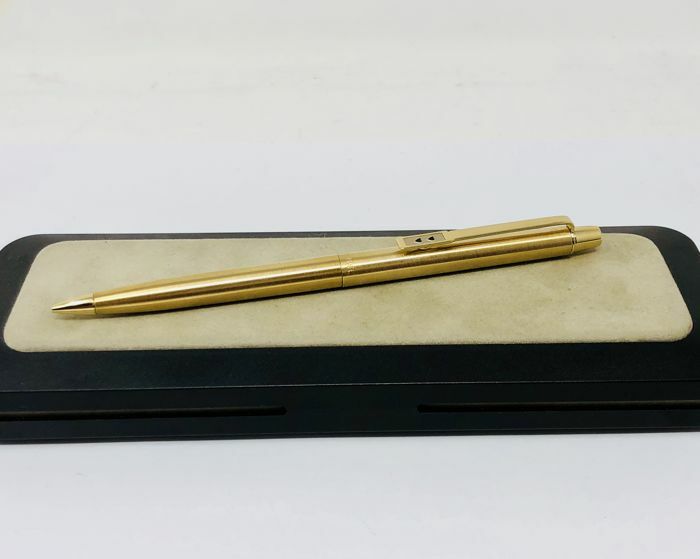 A set by the prestige American brand Paper Mate, made in stainless steel of golden gold, with a design of the 1990s. 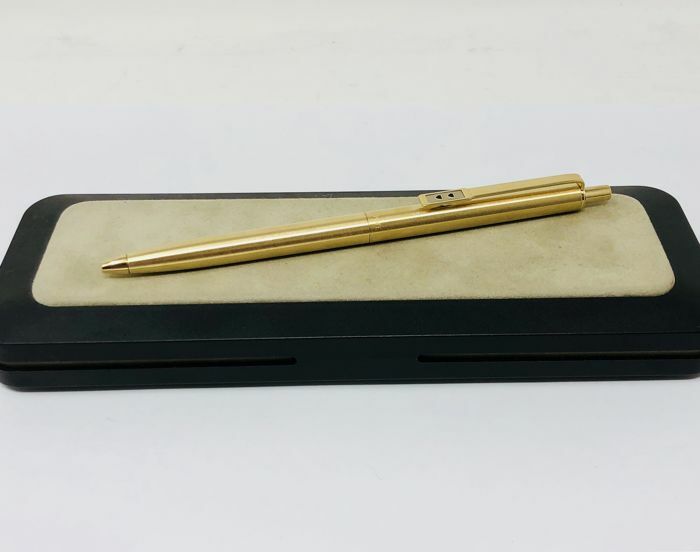 Everything in its box, perfect as a gift and for a company. 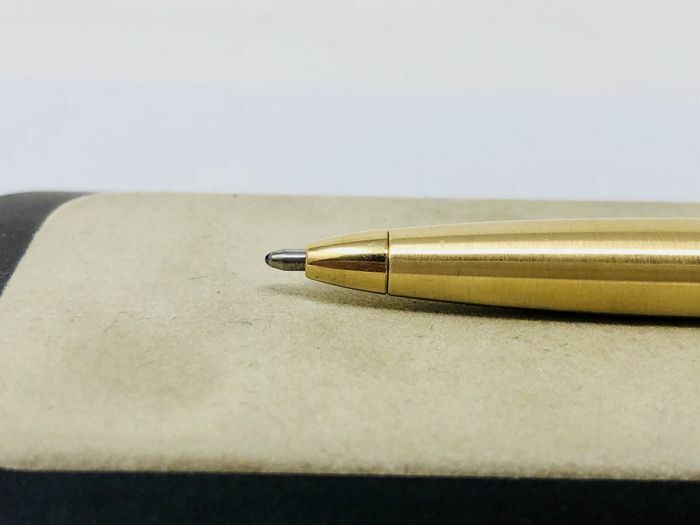 The brand logo on the cap and on the body with the design firm engraved on both pieces.